Need Advice? Call 0300 330 1198 for advice or 03444 111 444 (charged the same as an 01 or 02 number). For additional contact information, see here. Opening times are available here. 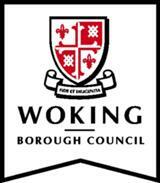 Supported by Woking Borough Council.